Every effort is made to bring our dogs to the listed event each week, but due to volunteer or foster commitments Todd may not be at every event. To find out if Todd will be at this event, contact KimM. 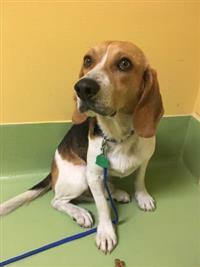 Todd is a sweet boy who is very timid with people and needs a family who will be patient with him as he learns that he is safe. He loves other dogs and loves playing with the other dogs in his foster home. They also help him feel comfortable and secure, so he really needs to be in a home with another dog. He would be most comfortable in a home without young kids.